KFEA FLUTE FESTIVAL 은 대중과 클래식의 가교역할을 할 수 있는 플루트라는 작은 아이템에서 출발한 교육, 공연, 국제교류를 포괄하는 클래식 페스티벌이다. 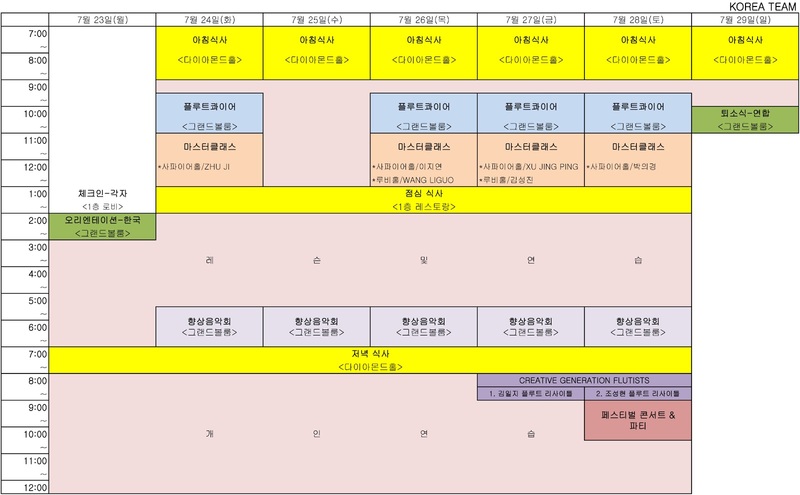 한국플루트교육자협회 KFEA와 사천플루트협회가 공동 주최하는 이번 행사는 2012년도 한중수교 20주년을 기념하며 시작되었고, 한국과 중국의 플루트 문화 발전을 위한 축제이자, 나아가 아시아의 플루티스트들을 위한 교류의 장으로 자리잡고자 한다. 음악을 사랑하시는 여러분들께 객석은 언제나 무료로 열려 있습니다. 사천음악원에서 정교수로 일하고 있는 Zhuji는 중국 대륙의 가장 대표적인 명교수이며 플루티스트이다. 그는 아시아플루트연합 사천 플루트 지부 상임이사로도 활동하고 있으며, 세계적인 플루트 콩쿠르로 알려진 베이징 니꼴레 국제 플루트 컴페티션(현재, 베이징 국제 음악 컴페티션)의 심사위원을 역임하였고, 현재 여러 국제 무대의 심사위원으로 활동하고 있다. Zhuji, the representative professor of Chinese flute society, now works as a flute professor at sichuan conservatory of music and is a master student instructor. 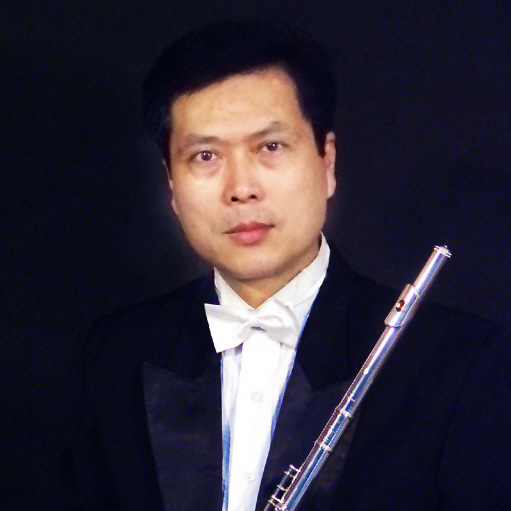 Executive director of the Asia Flutists Federation.President of sichuan flute society. Judge of International flute competition. 예원, 서울예고, 서울대학교 음악대학 기악과 및 동 대학원 졸업 후 미국 일리노이 대학교에서 석사 및 플루트 조교로 활동하며 전액장학생으로 연주학 박사를 취득하였다. 현재 예원, 서울예고, 선화예고, 안양대, 평택대 등에 출강할 뿐만 아니라 매거진 의 편집장으로서 다양한 영역에서 활발한 활동을 보이고 있다. Very talented musician, a former principal flutist of Prime Philharmonic Orchestra, Jie-youn Lee is working as a chief editor of the professional flute magazine ‘flute&’. She also teaches at Seoul Arts schools, Sunhwa arts school, Anyang University and Pyeong Taek University. 사천 심포니 오케스트라에서 수석 주자이자 목관 파트장을 담당하고 있는 WANG LIGUO는 중국음악인협회, 사천음악인협회, 아시아플루트연합 멤버이자 Sichuan Band Institute 사무국장, 사천플루트협회 상임이사, 사천음악원 초빙교수로 활발하게 활동하며 중국 음악계의 핵심 플루티스트로서 주목 받고 있다. Sichuan Symphony Orchestra principal flute, woodwind sound minister. 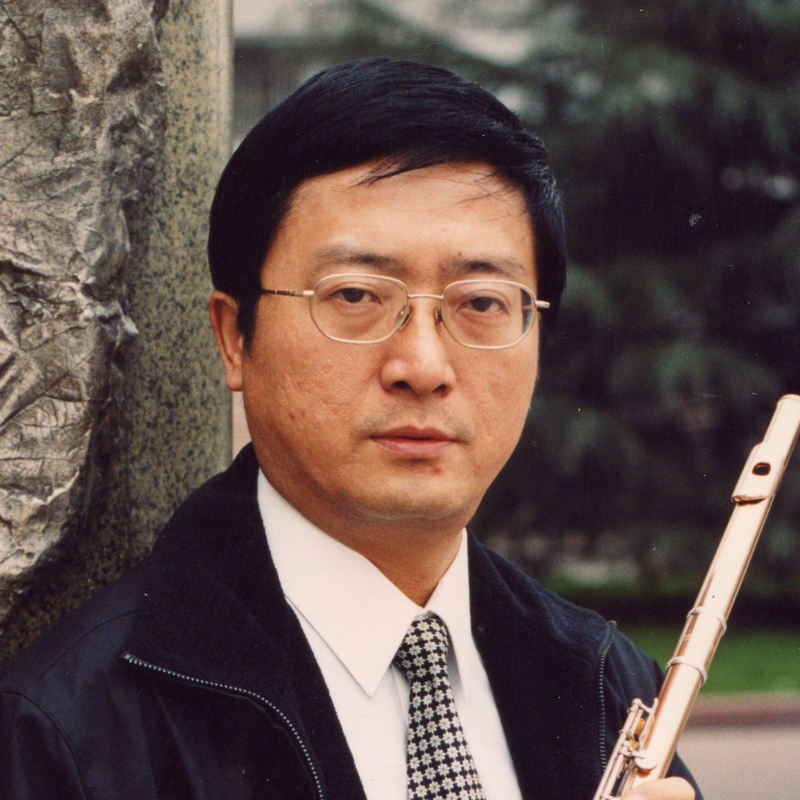 National level 2 player， a member of the Chinese Musicians Association, Sichuan Musicians Association, the Asian the flute Union Society, executive director of Sichuan Band Institute director, standing director of the Sichuan Flute Association. And employment with the external professor at the Sichuan Conservatory of Music. Xu Jingping은 사천음악원 관현악부 교수이며, 프랑스에 위치한 보르도 국제음악아카데미의 초청교수로 활동 중이다. 그는 또한 학문적 연구에서도 많은 성과를 거두었다. <플루트 공연에서의 호흡 완화 연습>이라는 연구 보고서를 집필했고, <더블베이스 플루트의 개발 및 개선> 이라는 연구 프로젝트를 주최했다. 그가 창단한 세계에서 가장 큰 플루트 오케스트라인 젊은이의 플루트 심포니 오케스트라는 현재 150여명이 단원으로 활동하고 있다. 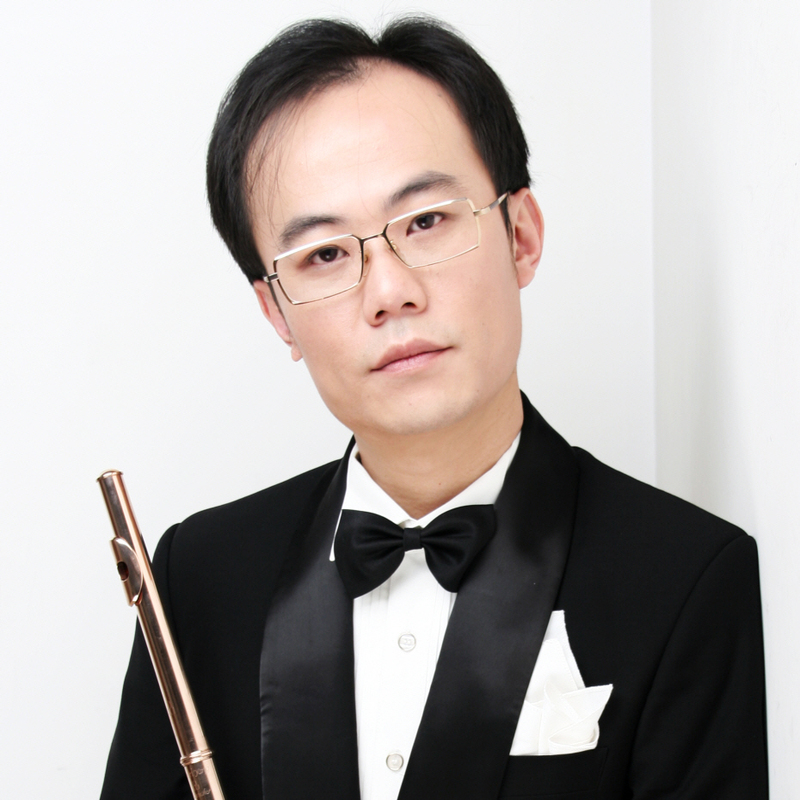 Xu Jingping now works as a flute teacher in the Department of String and Wood of Sichuan Conservatory of Music. In addition to that, he is also a guest professor in Bordeaux International Academy of Music in France. The largest Youngsters Flute Symphonic Orchestra in the world was founded by him, which now has 150 flute players. He wrote a research book entitled Breathing Relaxation Practice in Flute Performance and hosted the research project named the Development and Improvement of Double-bass Flute. 한양대학교 음악대학, 숙명여자대학교 대학원을 졸업한 김성진은 Peabody Conserbatory를 수료하였으며 러시아 그네신 국립음악원 박사를 최우수로 졸업하였다. 현재 국립 군산대학교 겸임교수이며 원광대학교, 강남대학교, 명지콘서바토리에 출강하고 있다. 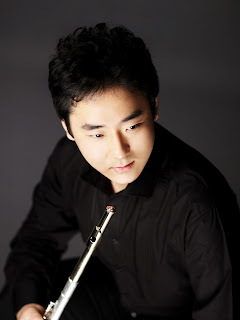 Flutist Sung-jin Kim studied in America and Russia. She is now a music director of JOY Flute ensemble and director of Korea flute association. Sung-jin is working at Kunsan National University as a flute professor and also teaches at Wonkwang University. 박의경은 예원, 서울예고, 토론토 왕립음악원, 토론토 대학, 미국 맨하튼 음대ㆍ대학원을 졸업하였다. 일찍이 이화경향 콩쿠르 초등부 1위, 동아 콩쿠르 중등부 1위 등 어린시절부터 음악성을 인정 받았으며, 캐나다 Toronto Kwaniee 콩쿠르, Five Town Music and Art Foundation 콩쿠르에서 모두 1위로 입상하였다. 현재 연세대학교, 한국예술종합학교 등에 출강 중이다. Ui-kyung Park, an admired flute professor, has raised a number of great young flutists in Korea. She worked at Korean Symphony Orchestra so many years as a flute player and also teached at many arts schools and universities. Mrs. Park is now teaching at Yeon-Sei University and Korea National University of Arts. Flutist 김일지는 예원학교, 서울예술고등학교, 서울대학교를 졸업하였으며 미국으로 건너가 New England Conservatory에서 Master of Music (석사학위) 취득 후 Rutgers University에서 Doctor of Musical Arts (박사)를 수학하였다. 어린 시절부터 이화·경향 콩쿠르, 음악저널 콩쿠르, 국민한세대 콩쿠르, 가톨릭대학교 콩쿠르, 대구 방송국 콩쿠르에서 모두 1위를 차지하는 등 국내 유수의 콩쿠르에서 1위를 거머쥐었으며, 미국의 가장 오래된 플루트 재단 New York Flute Club 주최 Young Artist Competition 1위를 비롯하여 Mid-Atlantic Flute Fair Young Artist Competition 1위, The Boston Woodwind Society's Flute Merit Award 우승, The James Papoutsakis Memoral Flute Competition Finalist 등 다수의 국제콩쿠르에서 역시 두각을 나타내며 그녀만의 탁월한 연주력을 인정받았다. 활발한 연주활동으로 현지 음악인과 관객들로부터 아낌없는 찬사를 받은 김일지는 New York YAMAHA Hall 초청 Recital, Boston William Hall Recital, 금호아트홀 영아티스트 콘서트 등 다수의 독주회 가진 바 있으며, 서울바로크합주단, 서울예술고등학교 윈드 앙상블 등과 협연하며 솔로이스트로서의 활동은 물론, 특히 경기필하모닉 오케스트라와 가진 K. Arp의 플루트 협주곡 Mémoire의 국내초연 무대로 큰 찬사를 받았다. 서울바로크챔버홀 소나타듀오페스티벌에 초청되어 하프와 함께 가진 듀오 리사이틀 등 실내악 연주자로서도 다양한 시도를 통해 끊임없는 음악적 연구를 계속하고 있다. 귀국 후, 2012년 매거진 flute&의 신인음악회 초청 무대를 시작으로 귀국 독주회, 그리고 국내에서 본격적인 연주무대를 펼치고 있는 김일지는 Ransom Willison, Linda Chesis, Denis Bouriakov 등 세계적 플루티스트의 Master Class 참가를 비롯하여, 윤혜리, 안명주, 송영지, 강현주, Bart Feller, Fenwick Smith를 사사하고 현재 경기필하모닉 오케스트라 수석, 한국플루트교육자협회 KFEA의 멤버로 활발한 연주활동을 펼치고 있다. Born in Seoul, Korea, started flute at age 9, Ilji Kim won the first prize for numerous competitions globally including the New York Flute Club Competition(USA), Mid-Atlatin Flute Fair Young Artist Competition(USA), the Boston Woodwind Society’s Flute Merit Award(USA), the Ewha Competition(Korea), Music Journal Competition(Korea), Daegu Broadcast Competition(Korea), Kukmin Hanse University Competition(Korea), and 3rd prize for YSTCM Flute Festival Open Division competition(Singapore). After graduating from Seoul National Univesity(studied with Youngji Song, Myeongju An, and Hyery Yoon), she moved to the United States to study with Fenwick Smith at New England Conservatory of Music (Masters of Music). While pursuing her doctoral degree at Rutgers University with Bart Feller, she was appointed the Principal Flute for Gyeonggi Philharmonic Orchestra. 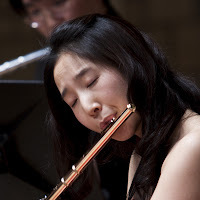 As a soloist, she played with the Korean Chamber Orchestra, Seoul Art High School Wind Emsemble, and with Gyeonggi Philharmonic Orchestra at the concert for K. Arp's Flute Concerto "Memoire" (Korea Premiere) which was highly praised. She actively performed in Boston Willam Hall, New York YAMAHA Hall, and Seoul Kumho Art Hall, and she was invited to a duo recital with harp in Seoul Baroque Chamber Hall. This year, chosen for "the Starlit Flutist of the year" by the Magazine Flute& in Korea, she keep her active performances as an soloist, chamber musician, and full-time orchestral musician. 1990년 서울 출생인 플루티스트 조성현은 2002년 금호 영재 콘서트 무대를 통해 음악계에 데뷔하였다. 1999년 한국예술종합학교의 예비학교에 진학하였고, 예원학교 3학년에 재학 중이던 2005년 미국 오벌린 콘서바토리에 전액 장학생으로 입학하며 프랑스 플루트계의 대부이자 엠마누엘 파후드의 스승이기도 한 Michel Debost를 사사하였다. 일찍이 국내에서 이화 경향 콩쿠르, 음악 저널 콩쿠르, 음악 춘추 콩쿠르, 예진 음악 콩쿠르, 매헌 음악 콩쿠르, 경인일보 음악 콩쿠르, 한국 플루트 협회 콩쿠르, 코리아헤럴드 음악 콩쿠르와 코리아 체임버 오케스트라, 서울 내셔널 심포니 오케스트라 콩쿠르 등에서 모두 1위를 차지하며 이름을 알렸고, 2007년 제13회 일본 도쿄 국제 플루트 컨벤션에서 Honorable Mention Prize를 수상하며 국제적으로도 두각을 나타내었다. 2009년에는 미국 오하이오 주 플루트 협회 콩쿠르에서 2위, 아시아 플루트 연맹 콩쿠르에서 3위에 입상하였고, 제49회 동아 음악 콩쿠르에서도 우승하였다. 초등학교 5학년 때 이미 블라디보스톡 방송 교향악단과 협연하였고 예원학교 재학 시절 예원 정기연주회에 솔리스트로 출연하는 등 꾸준히 연주 활동을 펼쳐 온 그는 코리안 심포니, 부천 필하모닉, Transilvania State Philharmonic, 코리아니쉬 플루트 오케스트라 등과 협연 무대를 선보이기도 했으며, 2008년에는 금호 영 아티스트 콘서트 무대에 다시금 발탁되어 독주회를 열었다. 특히 “곡에 대한 타고난 이해력과 풍부한 표현력, 빼어난 음악성으로 청중을 사로잡았다”고 호평을 받은 2009년 미국 워싱턴 D.C. 케네디 센터에서 열린 연주회는 라디오 프로그램인 ‘Performance Today’ 을 통해 미 전역에 방송되었다. 오벌린 콘서바토리에서 학사 과정을 이수하고 독일로 적을 옮겨 하노버 국립음대의 전문 연주자 과정에 입학한 후에도 Ghoerghe Dima 국제 음악 콩쿠르에서 심사위원 특별상을 수상하고 루마니아에서 열린 Jeunesses Bucharest 국제 음악 콩쿠르에서도 3위로 입상하는 등 꾸준히 우수한 성적을 올리고 있으며, Friedrich Kuhlau 국제 플루트 콩쿠르에서는 플루트 두오 부문 2위에 입상하며 뛰어난 실내악 연주가로서의 가능성을 제시하기도 했다. 2012년 2월, 금호아트홀에서 기획하는 “라이징 스타 시리즈”에 초청되어 리사이틀을 열었고, 2012 야마하 라이징 아티스트 시리즈에도 초청되어 리사이틀을 가졌으며 8월에는 영국 플루트협회 콩쿠르의 우승자로서 맨체스터에서 개최되는 영국 플루트 컨벤션에도 연주할 계획이다. 한국에서 박의경을 사사한 그는 현재 독일 뮌헨 국립 음대에서 Andrea Lieberknecht를 사사하며 마스터 과정에 재학 중이다. Flutist Sunghyun Cho, who was born in Seoul, South Korea in 1990, had brilliant talent and interest in music. He made his debut recital from the Kumho Prodigy Concert Series in 2002 and appeared in several recitals presented by Kumho Asiana Cultural Foundation. He had completed Korea National University of Arts Preparatory School, and in 2005, while he was in his 3rd year in Yewon Arts School, he got a scholarship to Oberlin College Conservatory of Music, in United States, where he studied with Prof. Michel Debost. While he was studying, Sunghyun Cho has appeared with numerous of Orchestras in, including Korean Symphony Orchestra, Bucheon Philharmonic Orchestra, and Vladivostok Radio Broadcasting Orchestra. In 2007, he had Honorable Mention Prize in the 13th Flute Convention in Tokyo and began to spread out his stages to the world. In 2009, he won 2nd Prize in Ohio State Flute Association Competition. In that year, he won 3rd Prize in the 1st Asia Flutists Federation Competition. Also, in 2009, he performed at the Washington D.C. Kennedy Center and it was broadcasted by radio program “Performance Today”. After he graduated from Oberlin College Conservatory of Music, he moved to Germany where he entered Hoschule für Musik, Theater und Medien Hannover under Prof. Andrea Lieberknecht. In 2011, he won “Special Prize of the Jury” in the 13th Gheorghe Dima International Music Competition. Also, in that year, he won 1st Prize in British Flute Society Young Artist Competition, 3rd Prize in Jeunesses International Music Competition Bucharest and won 2nd Prize in the 14th Friedrich Kuhlau International Flute Competition. He finished his post-graduate study from Hoschule für Musik, Theater und Medien Hannover in 2011. Sunghyun Cho currently studies Master degree in Hochschule für Musik and Theater München with Prof. Andrea Lieberknecht. 악기가방, 악세사리, 해외 명 음반 등을 직접 보고 듣고 체험해 보실 수 있습니다.